Hello, this is the Inven Global team. We have just added a new feature to our website! 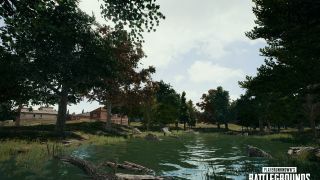 You can now add GIFs to your forum posts without uploading them from your device. You can add GIFs to both posts and comments. Simply click on the GIF button at the top right corner when you are writing a post, and click on the GIF button below the comment box when you are writing a comment. 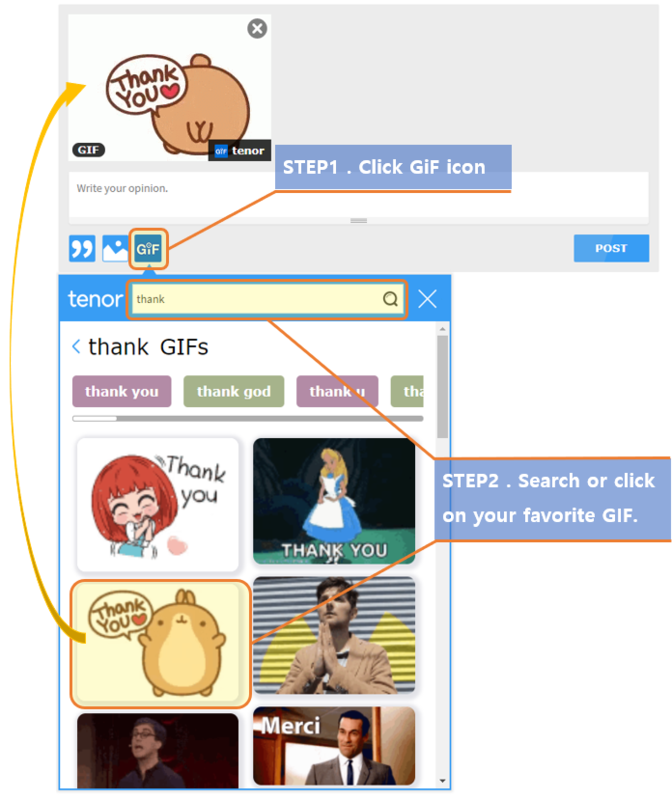 The button will show you a list of GIFs you can use, and you can search for more GIFs as well. This feature is made in cooperation with Tenor. In the Trending menu, you can see some of the popular search words along with a recommended search and frequently used GIFs. Please read the instructions below to see how to use our new feature. 2-2. 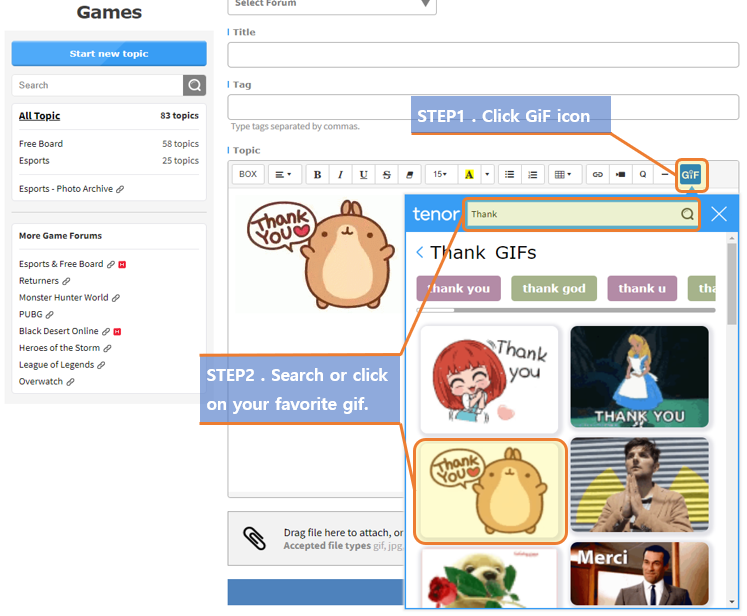 Search for GIFs that you want to use by entering a keyword, and then click on the image. 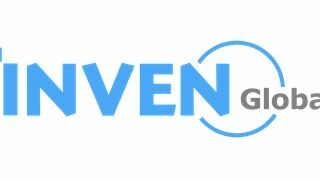 If you have any suggestions regarding the new feature or about Inven Global in general, please email us at help@invenglobal.com. Suggestions are always welcome.